Eschew the tourist crowds and head to Teijo national park and Linnanmaki Amusement Park. Relax by the water at Bellevue Beach and Beach Mansikkalahti. 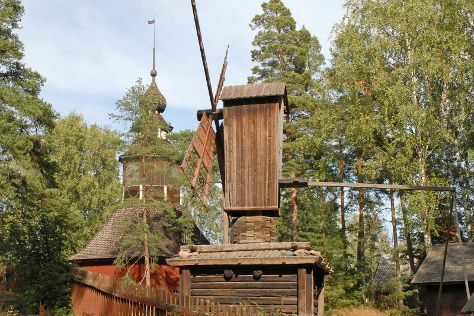 Explore the numerous day-trip ideas around Helsinki: Nuuksio National Park (in Espoo), Tulliniemi Nature Path (in Hanko) and Fagervik Museum (in Inkoo). Spend the 8th (Thu) exploring nature at Ekenas Archipelago National Park. There's much more to do: take an in-depth tour of Seurasaari Island and Open-Air Museum, delve into the lush surroundings at Niivermaki Nature Conservation Area, take in the dramatic natural features at Hiidenvuori, and look for all kinds of wild species at Riverside Park. To see maps and tourist information, read Helsinki travel route builder site . If you are flying in from Portugal, the closest major airport is Helsinki Vantaa Airport. In August in Helsinki, expect temperatures between 24°C during the day and 13°C at night. Finish up your sightseeing early on the 11th (Sun) so you can travel back home.